These days there are thousands of apps devoted to students, but some are better than others. Here are ten of the best iOS apps to help you with learning. Never forget anything, ever again! This app has won many awards and is one of the most downloaded titles of all time. You can take notes, photos, or voice recordings to remember important information. You can also sync up your notes with your computer so that you receive friendly reminders at a later time. Students will find this particularly useful for taking notes in class, recording research, and jotting down project ideas. This organizational app is useful for both students and teachers. It helps you keep track of lecture and lab times and manage homework, projects, and other tasks. If you have trouble keeping your academic schedule in order, this app is perfect for you. This app allows you to scan any document and turn it into a PDF to read for later. If you can’t get the angle right, Genius Scan will even adjust the perspective so that the document is readable. This is perfect for when you need to copy a page out of the huge reference book that can’t be removed from the library. Forget Google Maps. 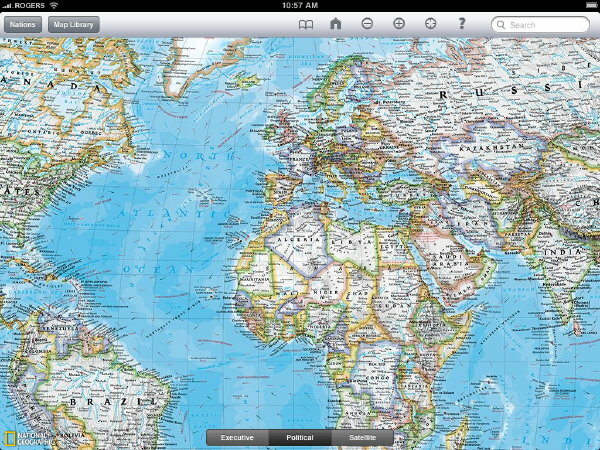 This app gives you high-res images of world maps as if you’re looking at a quality atlas. You can zoom in to see different countries and their capitals. Also included with this app is a database of “Flags and Facts” so that you can keep you up to date with global socio-economic data. If you need a refresher on algebra problems and formulas, this app will help you learn what you forgot – it’s also a great way for those just learning algebra to practice their skills. You can perform various levels of algebra problems simply by dragging and tapping the numbers. Here is another organizational app that can help you keep track of all of your homework and projects. It includes a calendar display, scheduling tools, and deadline reminders help keep you on task and on time. Flashcards are a great way to study almost anything – this app helps you make flashcards for any subject. Whether it’s Spanish vocabulary, names and dates for history, or anatomy parts for science, this app will help you commit everything you need to know to memory. This is the most expensive of our student app list, but it’s definitely worth the price. It includes over 350,000 words that you can look up anytime, even without a wireless connection. Even current terms in fields like technology, computing, and current affairs can be found in this amazing dictionary. The Periodic Table of Elements is an essential reference tool for any science student. You can even look up important facts about each element, including atomic weight, melting point, atomic radius, and electron configuration. Conversions can be tricky and time-consuming to do. Now you can quickly convert measurements such as currency, distance, weight, force, and more in this simple app.